Testimony on a package of five bills leads to medical professionals in favor of tax increases and business owners condemning them. Of the handful of nicotine-related tax initiatives, Gov. Kate Brown's proposed $2 a pack tax increase has gotten the most attention. However, a proposed vaping tax ended up being the hot-button issue when the proposals got public hearings this week. Sixty-five people showed up Wednesday and Thursday to tell the House Revenue Committee how they felt about five bills being considered. Many others came to watch, packing the hearing room. If all passed, the proposals would collectively increase the tobacco tax by $2 per pack of cigarettes, remove the 50-cent tax cap on cigars and impose a 95 percent wholesale tax on electronic cigarettes. A vote on whether to pass the proposals out of committee hasn't been scheduled. It was the first time the proposals faced real public opposition at the Legislature. Witnesses testifying were pretty much split. Those in favor were primarily doctors and public health workers while those against were almost entirely business owners selling vaping or tobacco products, or representatives on their behalf. Vape store owners came in droves. They largely argued their mission is to get adults to quit smoking and raising the price on vaping products would push people back to cigarettes. Jason Weber owns a vape shop in Roseburg and told the committee he'd helped thousands of people quit smoking. "How many doctors can say that?" he asked, adding if the new tax passed he would move to New Mexico or Nevada. Others had a different take. On Wednesday, April 10, three Oregon high school girls testified that vaping, specifically using the popular electronic cigarette product Juul, has interrupted their education. Kids can vape in class, in the bathroom or anywhere else because the product is so discrete, they testified. According to the nonprofit Truth Initiative, Juul sales increased 641 percent from 2016 to 2017. Tess Wright of Beaverton High School said Juul is following Big Tobacco's playbook, even turning the use of the product into a verb: "juuling." The next day, Max Behlke, a tax policy analyst for Juul Labs, said the company's goal is to rid the world of cigarettes. However, in December, Altria, one of the largest cigarette makers in the world, announced a $13 billion investment in Juul. Behlke also argued that an increase in a cigarette tax would just grow the black market, saying such an issue occurred in New York. Last month, Jon Hart, an economist for the Oregon Department of Revenue, told the committee that Washingtonians buy a significant amount of cigarettes in Oregon and smuggle it back north because of the tax disparity. The proposed tax increase would put Oregon closer to the taxing level of Washington and California. Idaho would still be significantly lower, Hart said, but the eastern part of the state is so sparsely populated that he didn't think a significant number of Oregonians would drive east to save a couple dollars per pack. On Wednesday, several witnesses said an increase in cigarette taxes would hurt small retailers like gas stations and convenience stores. Kole Olinger, manager at Jacksons Food Stores, testified that cigarettes made up a third of the in-store sales at their gas station convenience stores. Cigarettes bring people into the store and then they buy other products, he said. The proposals have strong backing. 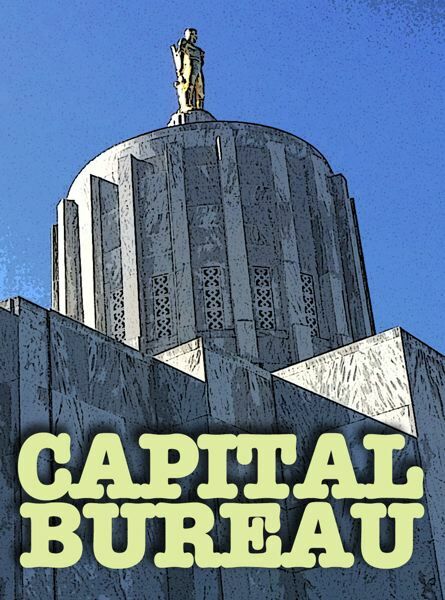 Brown testified Wednesday that the tax increase would generate $346 million as part of a six-year revenue package to stabilize funding for the Oregon Health Plan. It would also price smokers, particularly younger ones, out of the habit, she said. Brown's gubernatorial challenger for the 2016 election, Bud Pierce, came up next. Pierce testified as a cancer doctor, agreeing with Brown that the tax would save lives. "Cigarettes are a unique product," he said. "When used as directed, they are dangerous." Jonathan Polonsky, president of Plaid Pantry convenience stores, said increasing the tax was unfair and would lead to cigarette bootlegging. He also denounced the idea of putting the proposed cigarette tax to the voters, since a minority of Oregonians smoke. He said that would feed the "tyranny of the majority" and be undemocratic. Several vape store owners said a tax on their product could put them out of business. They also said a price increase would drive people back to cigarettes, though that likely does not take into account the proposed increase of the tobacco tax. Pierce warned committee members of being swayed by lobbyists and their "blood money." "I encourage you to simply say no," he said.